Hopefully, once they are in full swing production the Forge will get first dibs to sell in East Texas! We are thrilled to be the place they picked to make their video, as it is what this town represents.We applaud people like Michael Hale and Wesley Pruitt for their spirit and determination in doing what they love. It is the essence of what created Ben Wheeler. Texas Highways dubbed Ben wheeler as number 21 in the top 40 towns to visit in Texas! 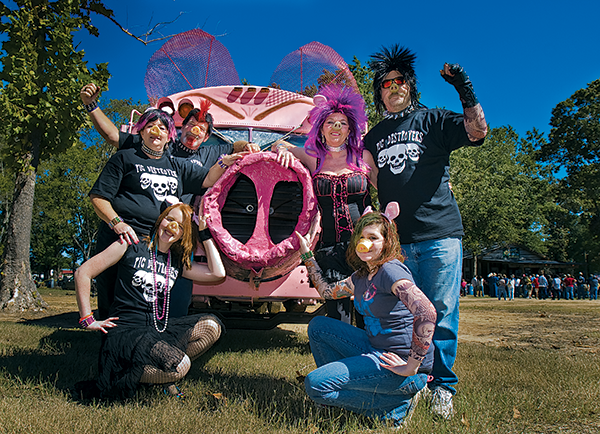 We were also featured as one of the coolest towns in Texas, in their Sept 2013 Issue! Here’s the link to that! 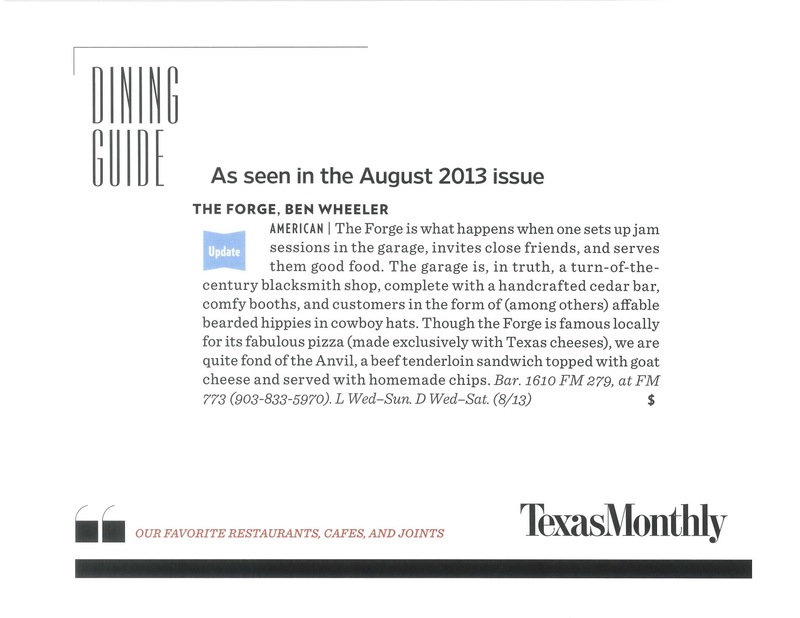 The Forge was featured in Texas Monthly!!! That’s right, The Forge Bar and Grill was written up as one of Texas Monthly’s “Favorite Restaurants, Cafe’s and Joints.” Sufficed to say, we were thrilled! Kudos to our staff and the great patrons that make this all possible! Thanks Texas Monthly!